Reviews are a fantastic marketing tool but let's not forget about the internal benefits. 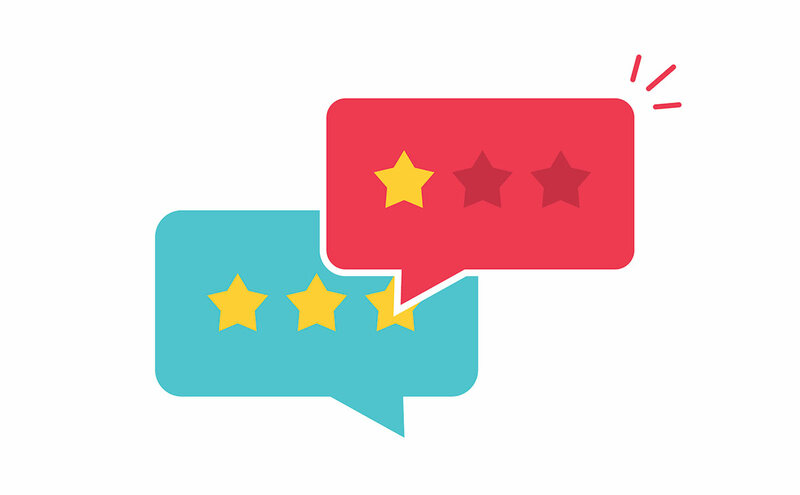 Reviews help you improve your business and that's important too. While Arrivala mostly focuses on the marketing & search engine ranking benefits of reviews there is a second major benefit that should not be overlooked. Collecting reviews helps better your business processes and services. The majority of successful businesses include methods for obtaining feedback from patrons of their service. This feedback, when reviewed, can help ensure you're putting your best product forward. Arrivala makes this easy by filtering negative reviews, providing in-depth statistics, and alerting you to potential negative experiences. Receive instant notifications when a customer has a bad experience with your business or any of your sales agents. 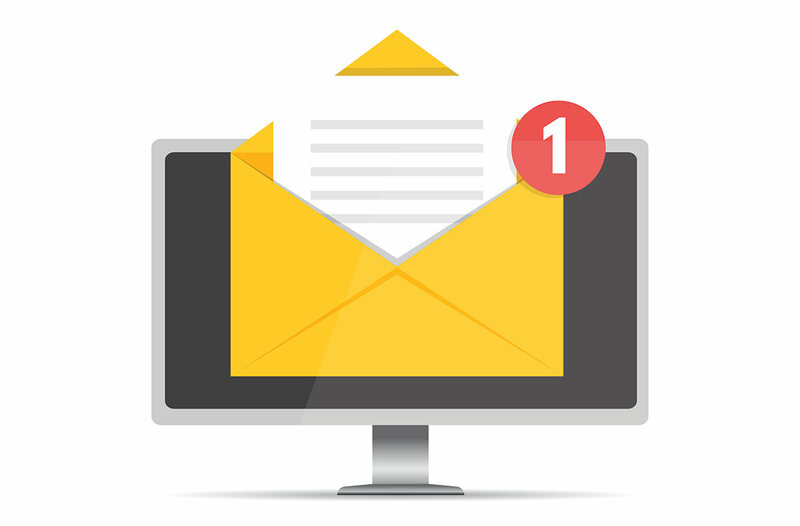 Arrivala can notify the admin via email notification and provide contact information of the customer so you can obtain additional information on the incident and work to resolve the issue. No longer will you have to go hunt through your business profiles and be shocked at an unexpected negative review. Since Arrivala handles the initial review collection process we're able to filter out many negative customer experiences before they are publicly posted on your business profiles. This allows you to contact the customer and rectify the situation before it produces a damaging review that could hurt your reputation. Arrivala tracks all the data it collects. Quickly see what location or sales agent is generating the most positive or negative reviews. View your average star ratings and find ways to improve upon your existing business processes. 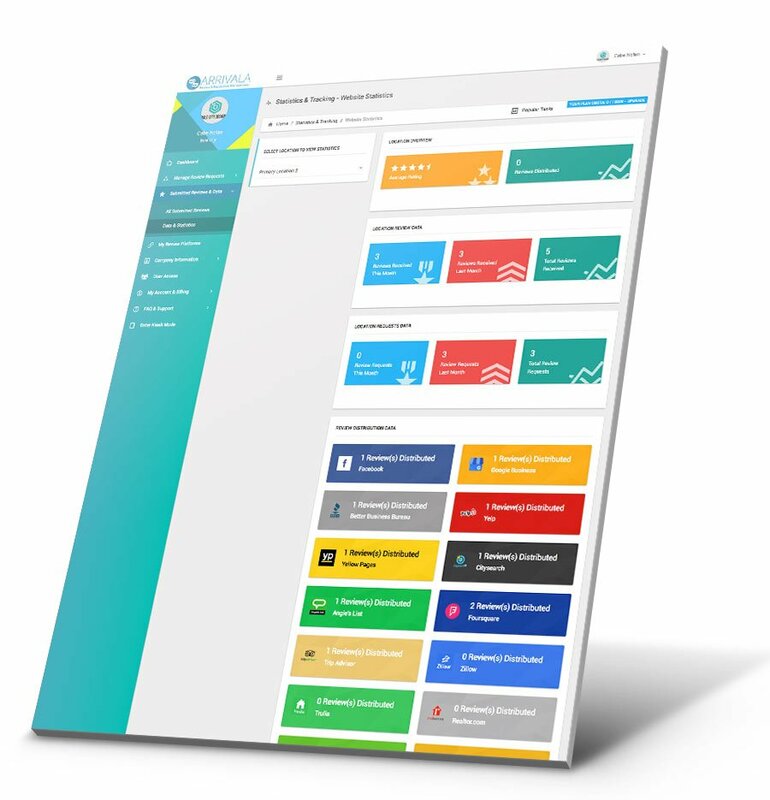 Arrivala keeps all the data neatly contained within your dashboard for viewing 24x7. Feedback collection has previously been a time consuming and expensive process. Some businesses fill a position with the specific role of receiving visitor feedback. Arrivala makes the process of obtaining positive and negative feedback easy. 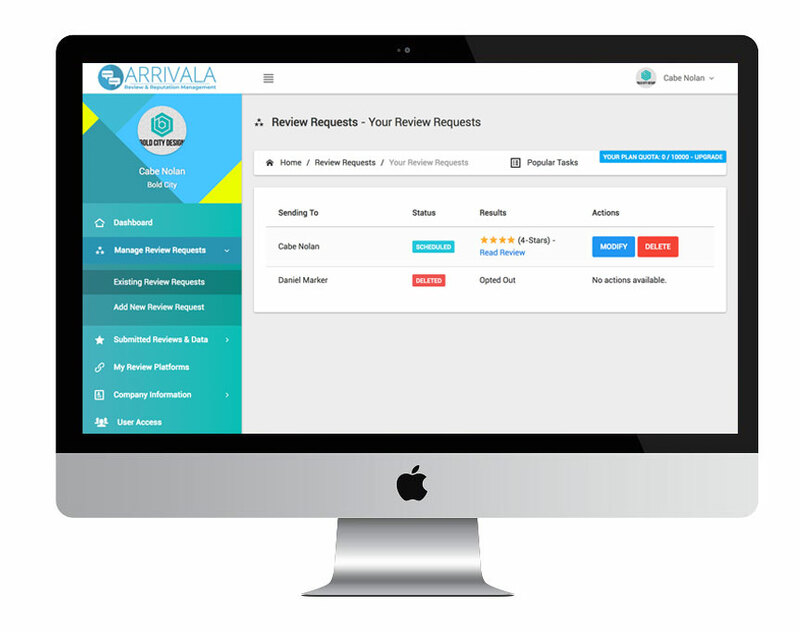 Add every customer or client to the Arrivala system and request their feedback. Positive reviews we'll help distribute to your business profiles for public viewing. Negative reviews we'll thank the customer and share that insight with the business owner(s) to help them improve processes. This is the future, feedback collection, automated.